Even though I am mostly done with new video games, I eagerly tuned in to stream a lot of E3 presentations. Partly it was that I was enjoying mocking the extravagance of the whole affair with some people online, but mostly it was because I want video game companies to win me back. Long story short, they failed with years E3. Well, one company has me excited to play their upcoming games, but the rest left me as cold and disinterested as I was before. There are a few upcoming games that do look at least somewhat interesting. Reading some impressions of Alien: Isolation made that game sound great, even though it doesn’t sound like the kind of thing I would end up having any fun with. It sounded like it might be genuinely tense and scary and I hate horror stuff. I don’t know that I could handle it. Metal Gear Solid V looks like more Metal Gear, which I tend to enjoy even when it’s bad. Ori and the Black Forest from Microsoft’s show looked cool. I am very interested in Scalebound if Hideki Kamiya is directing it and not just acting as Platinum’s spokesperson in presenting it. The new Assassin’s Creed continues to let players kill people in funny hats in various historical locales. (More on that series in a few days) If it comes close to fulfilling its lofty promise, No Man’s Sky should be a delight. Overall, though, nothing changed my mind about sinking money into either a PS4 or and Xbone. Nintendo did sell me on a number of their upcoming titles. Honestly, I loved just about everything I saw from Nintendo. That’s not just me being a fanboy, it is mostly because Nintendo’s offerings were so different from what everyone else had on display. Everything else was shooters, with a few asides for indie games. Nintendo’s offerings were more along the lines of classic gaming genres: platformers and action games. Their games were also more colorful, more varied than what anyone else had to offer. 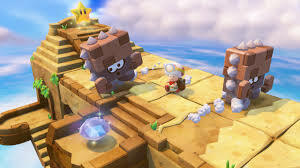 You might compare the look of Little Big Planet to Yoshi’s Wooly World, though I think Yoshi looks better, but there was nothing else like Kirby and the Rainbow Curse’s claymatian look. The new Zelda may be open world, but it hasn’t lost the beautiful watercolor looking world from Skyward Sword. My biggest interest in E3 was to plan my fall video game budget. I came away wanting to pick up all four of Nintendo’s WiiU fall offerings. I should be on the fence for Hyrule Warriors. I’ve played a few Warriors or Warriors-esque games, and I enjoy them for a while but usually loose interest pretty fast. A fine choice to a $20 pick a couple of years later, but usually not a good use of $60. However, I am a sucker for Zelda and it looks like they are using the setting effectively. Also, it comes out earlier than most of the other upcoming games I want, so it will be available when I haven’t yet spent my gaming budget. So I’ll likely pick it up. Then there is Bayonetta 2. It has long looked awesome, as most things from Platinum do, and the first game is included in the package, which is a big selling point. The other two games, Captain Toad Treasure Tracker and Smash Brothers 4, don’t have solid release dates, but I will definitely pick them up. The Captain Toad stages were among the best parts of Super Mario 3D World, so a whole game of them should be great. And nothing will keep me from Smash Bros. Which brings me to the next part of fall budget: the 3DS. That handheld isn’t quite having the same unstoppable year that it had last year, but there is still plenty of stuff coming out. Most notably, Smash Bros. Nintendo was truly devious splitting up the releases of the 3DS and WiiU versions of that game. If they came out at the same time I would pick the WiiU one and maybe picked up the 3DS version a while later. Now, I am going to get the 3DS one because I’m not waiting any longer than I have to for that game, but I am also going to get the WiiU one when it is released because that is my preferred platform. There is also Persona Q, which finally got a release date and Professor Layton vs Phoenix Wright, which I remain excited for. There was some other good 3DS stuff around. Another Pokemon remake, which I am going to pass on for the time being. It’s just pretty far down my list right now. And then there is Fantasy Life from Level 5. It looks like the kind of thing I should enjoy, but I’m getting a feeling similar to Animal Crossing, which I couldn’t manage to have any fun with. Finally, though I don’t think it was shown at E3 at all, is the new Final Fantasy Theatrhythm game, which I am still one the fence on. I was really interested in a couple of Nintendo’s new IPs. 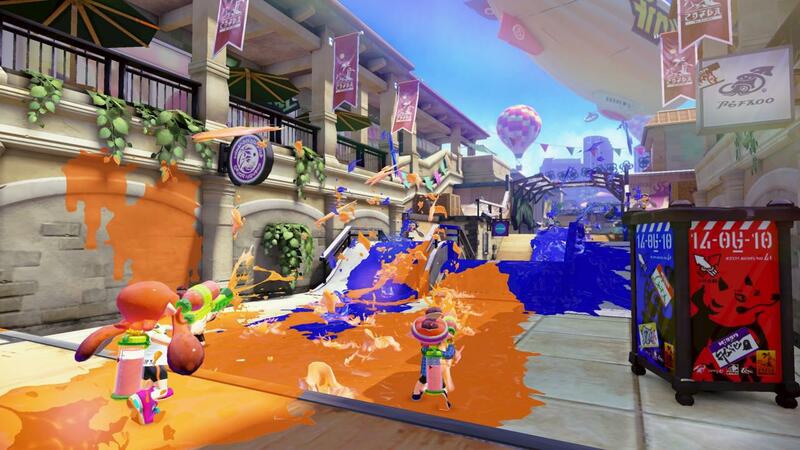 Splatoon is a squad shooter with a decidedly Nintendo twist. The characters are squid girls wielding ink guns as they try to cover the whole stage in ink. It looked like a more arcadey take on the genre, like older stuff. I’m not much of a shooter guy, but it did look fun. 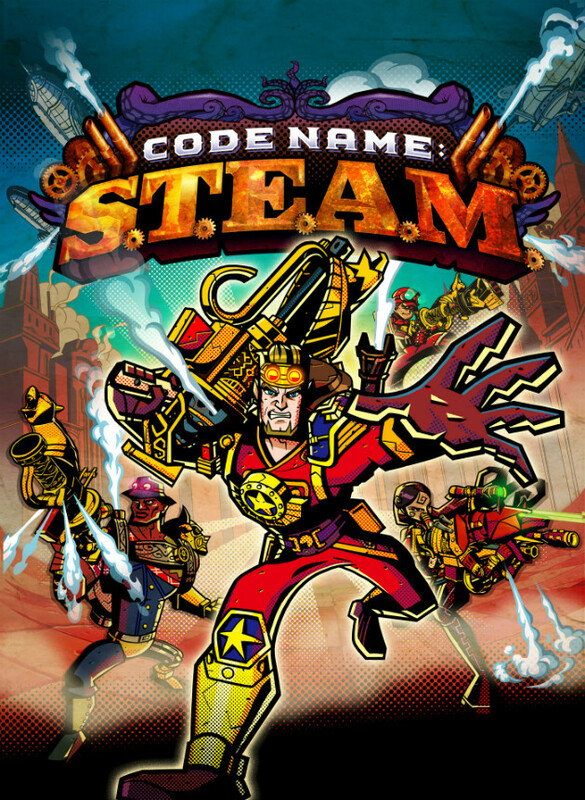 Then there was Codename: STEAM, a strategy RPG that looks like Valkyria Chronicles mixed with a Jack Kirby comic. In other words, it looks perfect. While it is still apparent that the bulk of the video game industry is not for me at all, I am glad to see that there is still a large amount of stuff that I should enjoy.